The newest wave of the health food revolution centers around the Acai berry. It comes from the acai palm tree, which is native to Central and South America. This berry spoils extremely fast when harvested so it is always immediately processed and frozen. This is why it is relatively new to Americans diet as it has not been easy to import. While there are many claims for it being a super fruit, can aid in weight loss and help with other medical issues, one thing is abundantly clear, it is a key part to a healthy diet! Finding new, fresh tasting and healthy ingredients that common people find enjoyable to eat is incredibly hard. Often times “health food” is not the epitome of flavor, which is certainly not the case with acai. When our founder, Brooke Gagliano, first tried acai berry pure, she was floored. Brooke is an extremely driven person who had endeavored and succeeded in becoming a top collegiate athlete by training hard and living a healthy lifestyle. But that healthy life style was not always filled with pleasant tastes. After college, Brooke was searching for what she could do in life to meld what she had committed most of her life towards and a career. 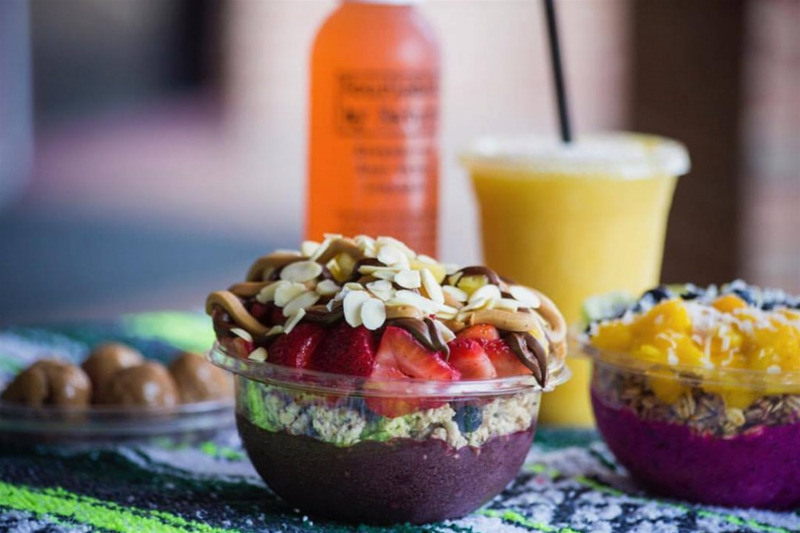 After trying acai for the first time on a vacation, she immediately began to incorporate it into her daily meals at home and from there Frutta Bowls was born.